What kind of Manga is popular in Japan right now? So, death game manga is getting closer to Idol culture? Characters, or rather, is there a prevailing style in Japan? like, a formless blob of slime? Is there no real need to aim for a particular style? ok then, so now companies are riding the wave of individuals? When I ask them "Where can I read your work?" Are mangakas aiming for that instead now? so, it's not like paper manga is over? Can one say that manga is safe really? is the style big eyes like betty boop? Or is it more realistic now? I feel I can say "This is old style"
I have been using digital only. Do you mostly use digital or analog? a smartphone manga won the prize?? and copying that...doesn't guarantee success does it? like, how long can we survive on nothing but monster meat? but in Japan, it's uncommon isn't it? and cover living expenses with the profits alone? So, there's not so many living off dojinshi sales? In that case, it remains a hobby? Has it influenced Japanese Manga? Would that be no good in Japan? 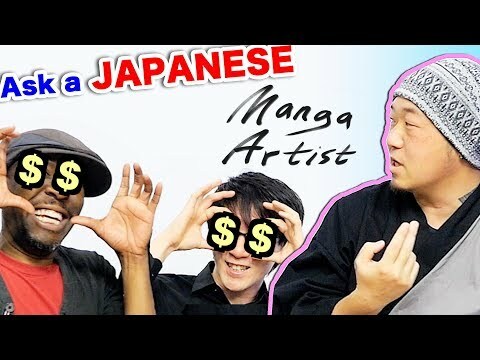 Could we work with a Japanese manga artist? Story is indeed, important isn't it? Which is better, twitter or Instagram? doesn't have so many views does it? How much are people checking Pixiv type sites? Can you share on LINE? Even friends won't read it. it's less common in Japan right? They feel "Finally, I am writing Batman's story"
Japanese creators want to give birth to their own characters right?